VJ Books Presents Author Tom Clancy! 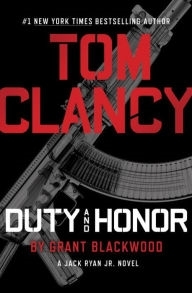 Thomas Leo "Tom" Clancy, Jr. (April 12, 1947 - October 1, 2013) was an American novelist and historian best known for his technically detailed espionage and military science storylines set during and in the aftermath of the Cold War, and for video games that bear his name for licensing and promotional purposes. Seventeen of his novels were bestsellers, and more than 100 million copies of his books are in print. His name was also a brand for similar movie scripts written by ghost writers and non-fiction books on military subjects. Clancy's fiction works, The Hunt for Red October (1984), Patriot Games (1987), Clear and Present Danger (1989), and The Sum of All Fears (1991), have been turned into commercially successful films with actors Alec Baldwin, Harrison Ford, and Ben Affleck as Clancy's most famous fictional character Jack Ryan, while his second most famous character, John Clark, has been played by actors Willem Dafoe and Liev Schreiber. 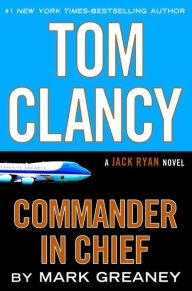 All but two of Clancy's solely written novels feature Jack Ryan or John Clark. Clancy was a part-owner of the Baltimore Orioles and Vice Chairman of their Community Activities and Public Affairs committees. Clancy passed away in October 2013. 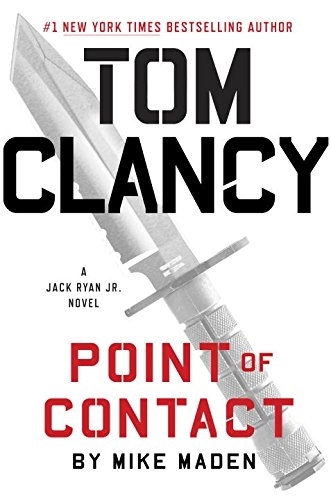 His Jack Ryan series lives on with authors Mark Greaney, Grant Blackwood, and Marc Cameron slated to write future novels in the series. 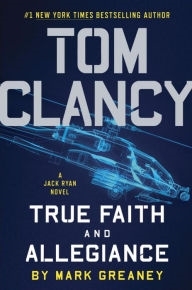 You can find Tom Clancy signed and collectible books to buy below this author bio. Author Signed Hardcover Book. June 2016 NY: Penguin First edition, first printing, mint, new/unread in a flawless dust jacket, signed by the author. Each dust jacket is protected in an acid-free archival quality acetate cover. Author Signed Hardcover Book. June 2016 NY: Penguin First edition, first printing, fine in a fine dust jacket, signed by the author, remainder marked. Each dust jacket is protected in an acid-free archival quality acetate cover. Author Signed Hardcover Book June 2015 NY: Penguin First edition, first printing, mint, new/unread in a flawless dust jacket, signed by author. Each dust jacket is protected in an acid-free archival quality acetate cover. Author Signed Hardcover Book. November 2018 NY: G.P. Putnam & Sons First edition, first printing, mint, new/unread in a flawless dust jacket, signed by the author. Each dust jacket is protected in an acid-free archival quality acetate cover. Author Signed Hardcover Book. November 2017 NY: G.P. Putnam & Sons First edition, first printing, mint, new/unread in a flawless dust jacket, signed by the author. Each dust jacket is protected in an acid-free archival quality acetate cover. Signed Hardcover Book. 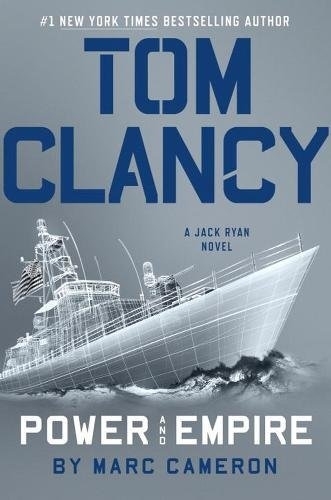 December 2010 NY: Penguin First edition, first printing, mint, new/unread in a flawless dust jacket, signed by both authors Tom Clancy and Grant Blackwood. Each dust jacket is protected in an acid-free archival quality acetate cover. VJ Books Price $99.99 --> What is the value of Double Signed books? Author Signed Hardcover Book. December 2010 NY: Penguin First edition, first printing, mint, new/unread in a flawless dust jacket, signed by Grant Blackwood only. Each dust jacket is protected in an acid-free archival quality acetate cover. Author Signed Hardcover Book. 2011 NY: Putnam First edition, first printing, mint, new/unread in a flawless dust jacket, signed by Mark Greaney. Each dust jacket is protected in an acid-free archival quality acetate cover. Author Signed Hardcover Book. December 2012 NY: Putnam First edition, first printing, mint, new/unread in a flawless dust jacket, signed by Mark Greaney. Each dust jacket is protected in an acid-free archival quality acetate cover. First Edition Hardcover Book. June 2011 NY: Penguin First edition, first printing, mint, new/unread in a flawless dust jacket. Each dust jacket is protected in an acid-free archival quality acetate cover. Signed Hardcover Book. 2004 NY: Putnam First edition, first printing, mint, new/unread in a flawless dust jacket, signed by Tom Clancy and General Tony Zinni. Each dust jacket is protected in an acid-free archival quality acetate cover. Author Signed Hardcover Book. 2004 NY: Putnam First edition, first printing, mint, new/unread in a flawless dust jacket, signed by the author. Each dust jacket is protected in an acid-free archival quality acetate cover. Author Signed Hardcover Book. 2000 NY: Putnam First edition, first printing, mint, new/unread, flawless dust jacket, signed by author. Author Signed Hardcover Book. 2001 NY: Putnam First edition, first printing, limited numbered, mint, new/unread in matching slipcase, no dust jacket as issued, signed by the author. Author Signed Hardcover Book 1994 NY: Putnam First edition, first printing, fine in a fine dust jacket, signed by the author. Each dust jacket is protected in an acid-free archival quality acetate cover. Author Signed Hardcover Book 1994 NY: Putnam First edition, first printing, mint, new/unread in a flawless dust jacket, signed by the author. Each dust jacket is protected in an acid-free archival quality acetate cover. Signed Hardcover Book. 1999 NY: Putnam First edition, first printing, mint, new/unread, flawless dust jacket, signed by Tom Clancy and General Chuck Horner. Each dust jacket is protected in an acid-free archival quality acetate cover. Author Signed Hardcover Book. 1999 NY: Putnam First edition, first printing, mint, new/unread, flawless dust jacket, signed by author. Author Signed Hardcover Book 1996 NY: Putnam First edition, first printing, fine in a fine dust jacket, signed by the author. Each dust jacket is protected in an acid-free archival quality acetate cover. 1998 NY: Putnam First edition, first printing, fine in a fine dust jacket, signed by the author. 2002 NY: Putnam Deluxe limited edition, first printing, new/unread, signed by author. Limited in matching slipcase, #1 out of 550. Author Signed Hardcover Book. 2002 NY: Penguin First edition, first printing, mint, new/unread, flawless dust jacket, signed by author. Each dust jacket is protected in an acid-free archival quality acetate cover. Author Signed Hardcover Book 2002 NY: Putnam First edition, first printing, fine in a fine dust jacket, signed by the author. Each dust jacket is protected in an acid-free archival quality acetate cover. Author Signed Hardcover Book 2002 NY: Putnam First edition, first printing, fine in a near-fine (some chipping to spine top) dust jacket, signed by the author. Each dust jacket is protected in an acid-free archival quality acetate cover. Author Signed Hardcover Book. 2002 NY: Penguin First edition, first printing, fine in near-fine (crease to front flap) dust jacket, signed by author. Each dust jacket is protected in an acid-free archival quality acetate cover. Author Signed Trade Paper 2001 NY: Berkley First edition (thus), later trade paper printing, mint, new/unread in pictorial wraps, signed by author. Author Signed Trade Paper 1996 NY: Berkley First Trade Paperback edition, later printing, fine in pictorial wraps, signed by the author. Author Signed Hardcover Book. 2003 NY: Putnam NY First edition, first printing, mint, new/unread in a flawless dust jacket, signed by the author. Each dust jacket is protected in an acid-free archival quality acetate cover. 1999 NY: Berkley Mass market Paperback Book, first printing, fine in fine pictorial wraps. VJ Books Price $6.99 --> What is a Paperback Original? Clancy received an honorary doctorate in humane letters and delivered the commencement address at Rensselaer Polytechnic Institute in 1992, and has since worked a reference to the school into many of his main works.